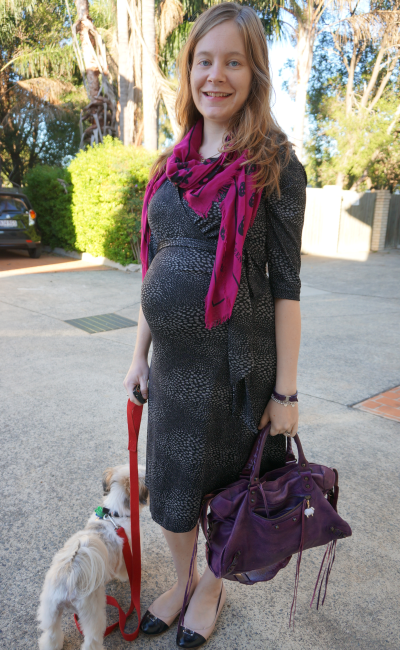 Away From Blue | Aussie Mum Style, Away From The Blue Jeans Rut: Sales! 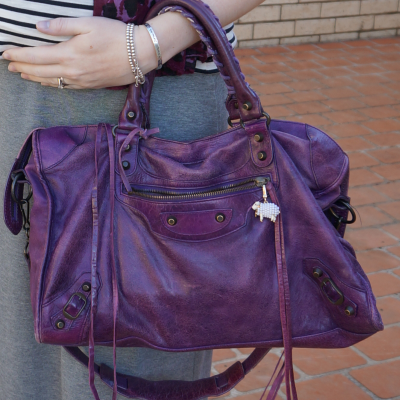 Balenciaga Sapphire Purple City Bag, Maxi Skirt, Maternity Wrap Dress. Love the addition of the scarves to both looks! such pretty scarves! the magenta alexander mcqueen one is my fave -- love it! You are looking so good! I would definitely not get tired of that dress - it fits you so well! thanks! I think it's been my favourite maternity buy! Oh look forward to seeing what you got - I like the skirt you posted that you bought! :) I skipped this sale - we had to buy some big purchases for baby recently, so no fun money in the budget! You're so cute!!!!!! 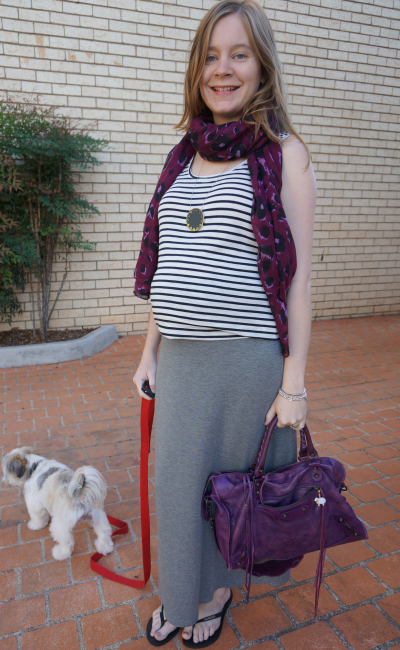 Such great maternity looks paired with a true mother's glow!! you are looking so gloriously glowy, that SM dress hugs all your curves so beautifully! Hahaha I know what you mean! I need to unsubscribe from soooo many stores. It seems all I get these days are offers and sales and my bank account is not a happy chappy right now! LOL! That second printed maxi is stunning! Great addition of colour! Ooh that bright pink scarf is gorgeous! I really should wear more scarves, you have such an amazing collection! Did you get anything from Shopbop sale? I have been so tempted but I have to sit this one out! I have too many scarves, I need to try and wear them all at least once this year, haha!